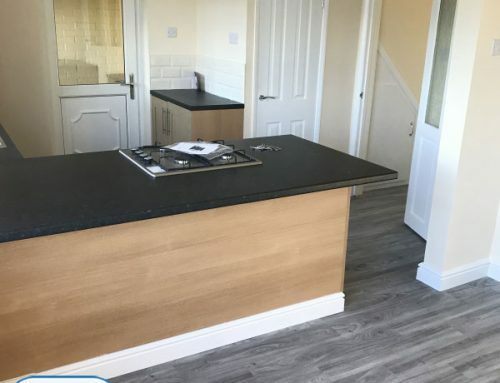 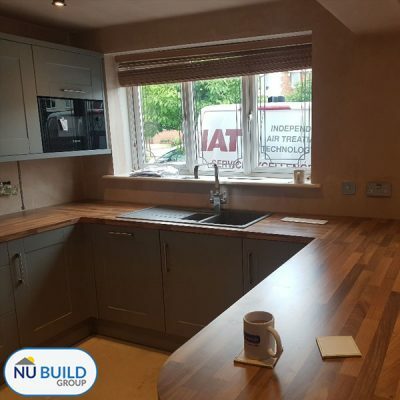 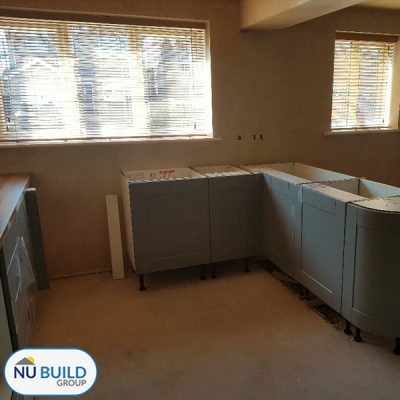 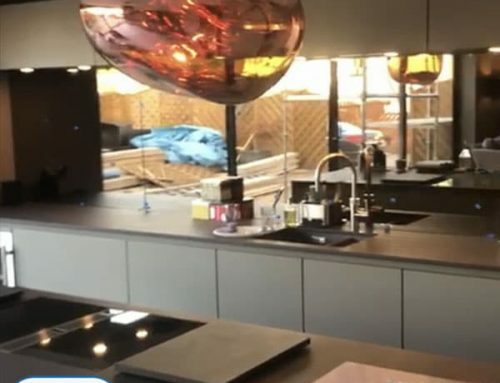 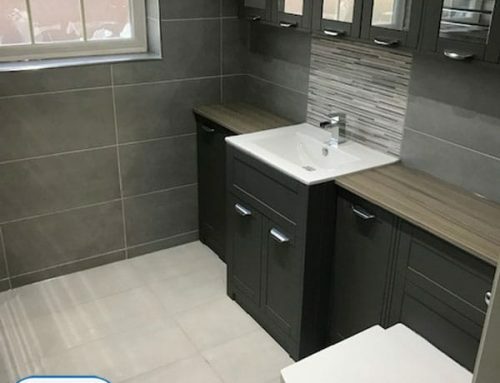 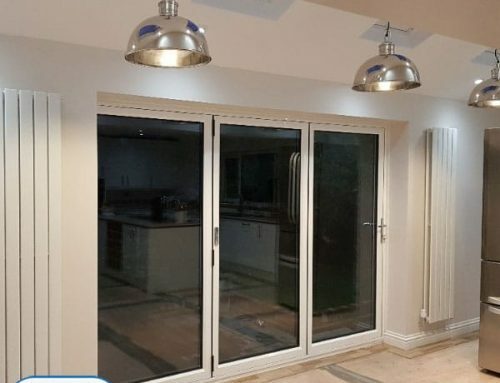 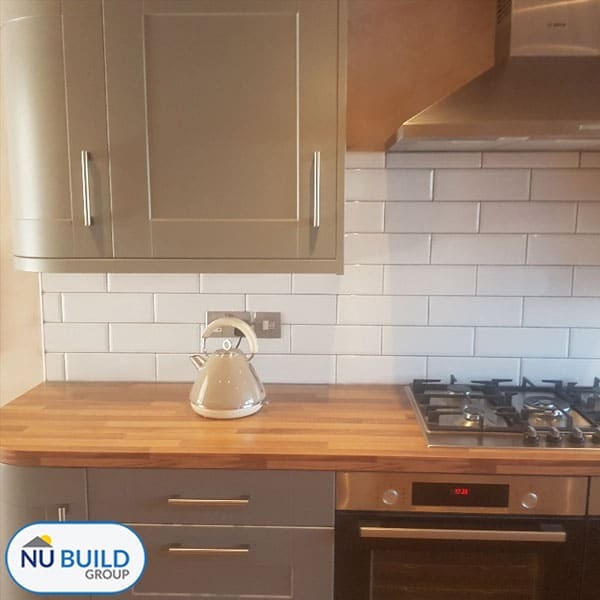 We were contacted by a customer called Suzanne in the summer of 2018 to ask us for a quote on this kitchen renovation and conversion. Suzanne asked us to convert her office and playroom, which was originally a double garage, into a large kitchen and diner. 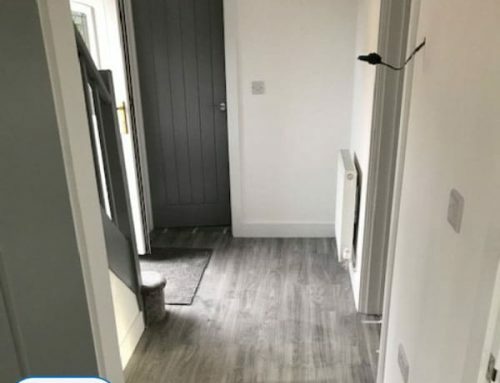 After visiting her house and discussing the work involved, we provided a quote and shortly after were asked to start work. 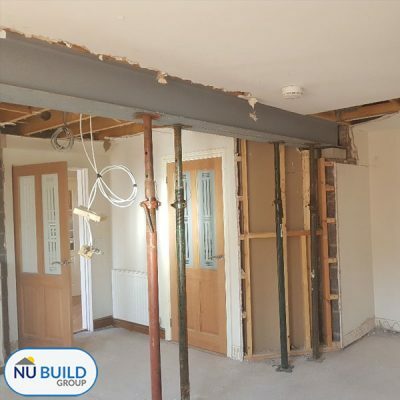 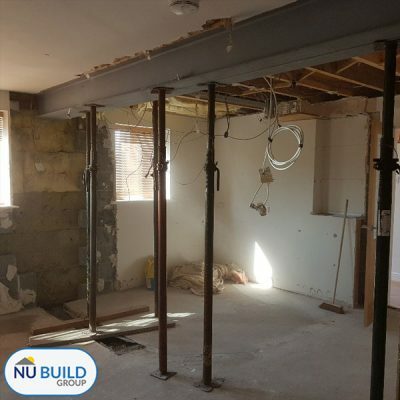 The first part of the project involved removing a solid supporting wall and installing a large piece of steel as per the structural engineers recommendations. We then had to alter the plumbing and electrics locations to suit the new kitchen layout. 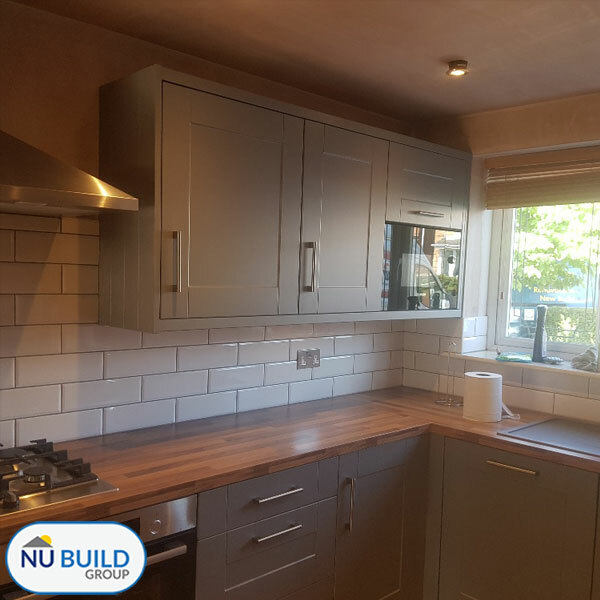 We then finished by plastering the walls and ceiling, before fitting the new kitchen which was supplied by Wren Kitchens in Sheffield. 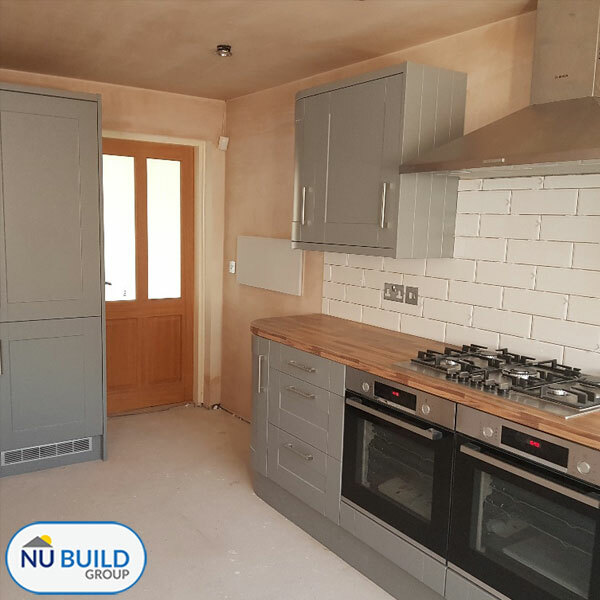 Finally, we applied the finishing touches of joinery, flooring and wall tiles. 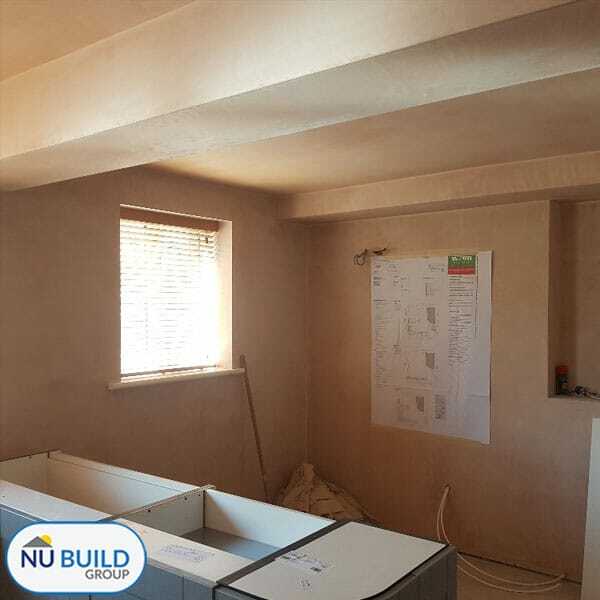 In addition to the main kitchen renovation we were asked to carry out some additional work at the house, such as converting the existing kitchen into a study and plastering some ceiling to get rid of the dated artex. 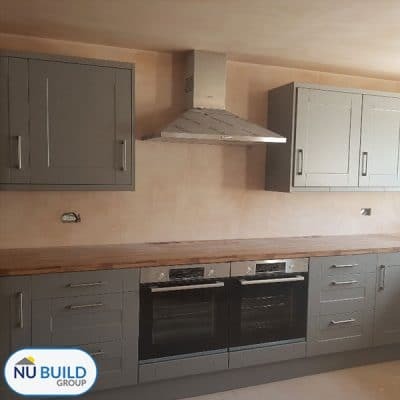 We used a number of local suppliers for top-quality local materials, including FM Birch Commercial Flooring in Sheffield, Wren Kitchens & Assent Building Control in Sheffield.